I jest, I jest! 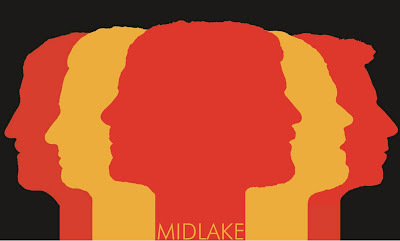 Texan ear-ticklers Midlake played the second of three intimate Irish tour dates last night in preparation for larger scaled upcoming festival appointments. Expectations were weary with the former fivesome - now sixsome - playing their first shows without parted vocalist Tim Smith (now of Harp) who has passed vocal duties on to guitarist Eric Pulido. This really isn't a review, simply a hats off to the Denton six who shone under intense scrutiny in Cyprus Avenue, a cosier location compared to the Marquee, venue which housed the group's previous Cork show. Tracks from the band's "big" album The Trials of Van Occupanther were the obvious highlights (including medieval rocker 'Roscoe' and savage beast-soothing lullaby 'Van Occupanther') but the new psychier songs sounded great too showing a trippier bent to the reconstructed band, including the title track for the just-around-the-corner Antiphon. As regards Pulido's performance the biggest compliment I can pay him is that I had genuinely forgotten about Smith's absence by the time the encores arrived. Not a slight on the original singer, more a testament to how capable the new front-man is and should continue to be.